We have finished our first two weeks of rehearsals for Ulla’s Odyssey, working in a great new studio space in Brixton. All the blocking is in, and our sitzprobe is on Monday near the Bank of England. We’ve had working sessions with professional puppeteer and designer Matt Hutchinson. 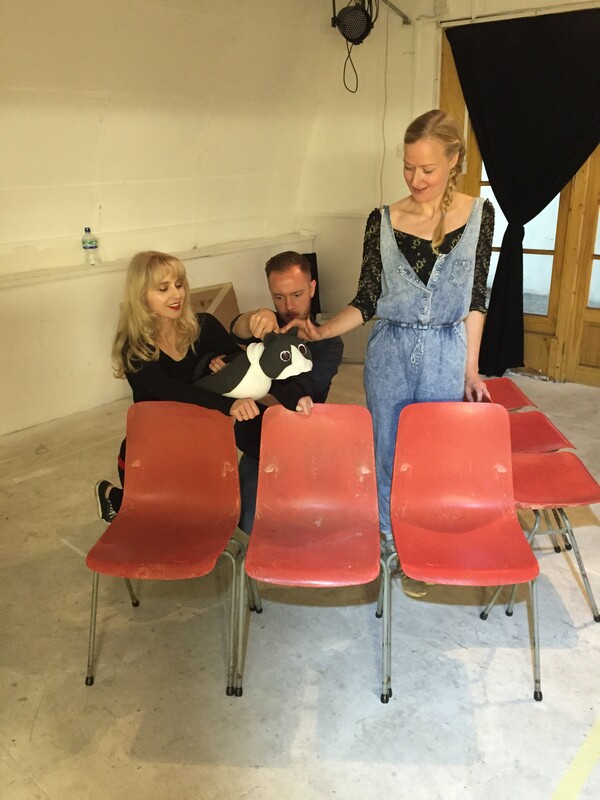 Here we are bringing Binnacle the cat to life!